King John, O Mighty Funky Freshness: This Jags team has come back hungry, in better shape and in one year progressed in the system Head Coach Doug Marrone established last year. It's hard to imagine the players being even more motivated than they were last year, but all reports out of camp are the motors are running even hotter. Our recent draft picks are all looking to be steals, and our veterans are providing excellent examples through action and words. Have you ever worked with a group of men this collectively great? Whose drive is palpable and whose potential, for lack of a better phrase, seems to be realizing itself by the day? How scary is this group, on both sides? And can anyone stop them? Go Jags! With the caveat that NFL things often look their rosiest in August, things do look very good around the Jaguars these days for the reasons you cite. This is a talented, motivated team with a mixture of experience and youth – and its young talent has all the earmarks of maturing into good players. It’s exceedingly difficult to compare NFL teams because so many different dynamics, personalities and circumstances go into making a team successful enough to be memorable. I have been fortunate in my time in Indianapolis and Jacksonville to cover multiple such teams: a Super Bowl champion, two AFC champions and six teams that played in AFC Championship Games. All those teams were capable of winning Super Bowls, and all were collectively great. This Jaguars team certainly has the feel of one that can be in that group. The truth about the NFL is you’re never as bad as you are when you think you’re bad or as good as you are when you think you’re good, so this season won’t be perfect. There will be crises. There will be losses. There will be fan angst. It’s just always that way. But in the big picture this team looks really good right now. Stay tuned. I have to say that reading who made a catch or who blocked well in training camp practices each day is rather boring and insignificant. I'm sure some readers feel they have to know this level of detail or they won't sleep at night but at this point all that is relevant is if everyone finished without injury. Is this dull writing for you similar to writing plays made in someone's backyard scrimmage? One of the cool things about this free website is it isn’t the only free website. There are others. More than a few, in fact. O-bro ... Can you let the other Tylers of Jacksonville know that I kind of already locked that down round these parts. Or at least can you start notating to let your adoring audience know when a question is not from THE Tyler from Jacksonville? Remember when you said how awesome I was last year? I ‘member. 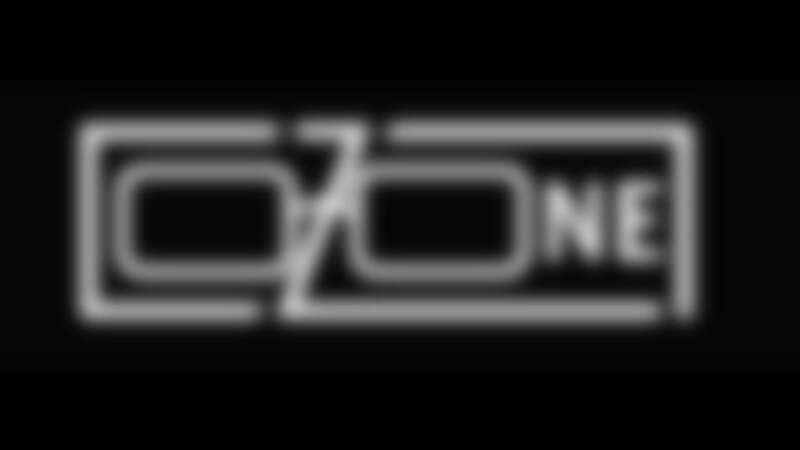 O-Zone, what is going on with the Jaguars podcasts?? I haven’t seen any in months and want to be able to listen to the latest on training camp. Timetable to get this back up and running? The podcast issue is yet another aftereffect of this offseason’s NFL-mandated move to a league-run platform. It’s being addressed. We remain hopeful the situation will improve. For the love of god … the page you are looking for cannot be found. Why? This has been a “thing” lately. On more than one occasion in the last week, the O-Zone or another story on jaguars.com has had a message that the page can’t be found. For explanation, please see the answer to the previous question. Zone, I'm pretty sure you posted an O-Zone titled "Lucid Dreaming," but I don't think anyone can read it. NFL office strikes again? You speak of defensive line depth, but secondary and linebacker depth is not good. This defense wouldn't be nearly as good as it is without competent safety play. The Jaguars’ secondary and linebacker depth is unproven. The team likes rookie Ronnie Harrison at safety, and it likes Blair Brown at backup weak-side and middle linebacker. It also likes Tyler Patmon at cornerback. But you’re right that the Jaguars are not as deep in the secondary or linebacker as they are at other positions. Is this a concern? Sure, but it’s the nature of the NFL in the salary cap era. You’re not going to have 50 starting-level, experienced players on the roster who can step in and play at the same level as the starters. It’s just the way it is. John: Here is a scary thought. Is Blake Bortles better at his position than any of the 11 defensive starters? I would say Bortles probably is only markedly “better” than one or two of the Jaguars’ defensive starters. But remember: this is an uncommonly talented defense. Three of the four defensive backs – cornerbacks A.J. Bouye and Jalen Ramsey, and safety Tashaun Gipson – have played in the Pro Bowl. Linebacker Telvin Smith has been in the Pro Bowl, and Myles Jack appears headed there. All four defensive linemen – ends Yannick Ngakoue and Calais Campbell and tackles Marcell Dareus and Malik Jackson – also have been so honored. So, while your thought is unquestionably a thought, there is a question about whether it’s frightening. Hey Mr. O: We've been hearing about the depth of our defense, running backs and wide receivers. There sure is a lot of talent in these areas and I'm sure it'll be difficult to let some go. But how are we looking on the O-line? I know the starting five. Any depth or competition here? Thanks, Go Jags! Rookie Will Richardson, a fourth-round selection from North Carolina State, is working at right tackle. He’s competing with Josh Wells and others for the swing tackle position, with William Poehls also looking strong at times at tackle. Chris Reed, Tyler Shatley and Josh Walker are working on the interior. Offensive line isn’t a position you hear a lot about in camp. Players don’t “flash” typically there, and it’s tricky to report because there are no sacks, pressures or big plays to report. The Jaguars like their depth on the line. They wouldn’t be as strong there if a couple of guys get hurt. That’s typical of most NFL teams. It’s hard enough to find five good starters at the position. Finding depth there is one of the rarest things in professional football. Mighty Zone: Just a comment but seeing Leonard Fournette lose 10 pounds and being faster should add plenty of excitement to the run game. It also gives you an appreciation of how high the bar was set by Fred Taylor. He was one of the fastest backs in the league and he was 230 pounds. One for Fred and Leonard!! It should probably give you an appreciation for Fournette, too. He had the fastest run of any runner in the NFL last season and he weighed close to 240 pounds. Now we have a taste of how they are calling this new leading-with-the-head rule and it's going to be a disaster. It's impossible to not have your head involved in an open-field tackle. You have to lunge at the player with the ball. Unless tackling becomes turning backwards and backpedaling towards a ball carrier while they laugh and run past you, it just isn't possible. These guys know they play a dangerous game. The solution is to have them all sign a waiver so they aren't suing the league in ten years – and ask the faint-hearted to watch soccer instead. This rule is going to kill the NFL unless someone wakes up and does something about it. It's a violent, physical game that is not for most people and that goes for every level of the sport. This country has gotten so soft. We indeed saw the NFL’s first foray into officiating the new “leading-with-the-helmet” rule. This glimpse came in the Hall of Fame Game between the Baltimore Ravens and Chicago Bears Thursday, and many of the feared issues indeed arose. This is going to be a massive topic in the coming weeks – and if the rule is called as it was Thursday there are going to be major issues. My instinct tells me this will be a work in progress. It’s often the case that a rule is called one way – and very aggressively – during the preseason to get players used to the rule, and then not called nearly as tightly as the season progresses. Because of the safety-oriented and high-profile nature of this rule, I don’t expect it to go away. I expect the league to continue to search for the right mix on this one. I expect that search to be difficult and clunky sometimes, but I expect it to continue.